The following is an accounting of the time and circumstances of this important event, which occurred in the 65th year of the Messenger’s life, at a time when he was also engaged in a month-long treatment process intended to help strengthen the bones and tissues of his neck and jaw following his recovery, several years before, from a life-threatening illness. 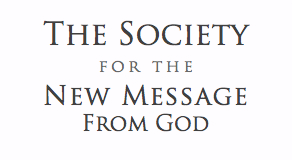 At about this same time, The Free School of the New Message was convening online for our weekly Campfire Chat, devoted to our study of the current School Session, Preparing for the Greater Community. “Just a moment now…something important is about to happen. Marshall is being called. I returned to find Marshall preparing to receive the revelation. He had requested that Reed, our son, and I be with him. I brewed a unique kind of tea for him that helps to keep his mouth moist during the process of speaking the living Revelation, a process that is continuous, without breaks and can go on for some time. We disconnected telephones, closed the windows, drew the window coverings, and prepared the recording equipment. Marshall sat down, settled himself and in the ensuing minutes the Presence grew around us. Then the Voice spoke suddenly, “Today we will speak of Muhammad and the New Message from God. As the Voice of Revelation spoke through Marshall, his arms and hands gestured gently. At times, his hands would come to rest on his lap, only then to rise slowly and pause in front of him, palms facing inward. As the revelation emerged, his hands would rise in this manner, sometimes with arms outstretched, fingers reaching out in front of him, only then to fall back to rest as the words of communication ebbed and flowed. The Voice moved him. It utterly and actually moved him. In the end, the Voice spoke for a total of 32 minutes and 36 seconds. After the revelation finished, Marshall sat in stillness for some time. After he made certain the revelation was recorded properly, he then lay down to rest. This demonstrates another key quality of the Messenger: the great care and attentiveness he brings to everything he does and to every relationship he engages in. Later, after recovering, the Messenger recorded a brief accounting of his experience, for the New Message students of today and all days to come. “I awoke after a long sleep feeling tremendous presence. My vision was kind of foggy, almost mystical, where things are less distinct visually than they would ordinarily be. “I began to realize that I was being called, and this tremendous Presence was with me and calling me to receive. So I invited Patricia and Reed to join me in my bedroom where I record these things so often. “I had a foreknowing this would be about Muhammad because I had been studying the revelation, “Jesus and the New Message” (received 4/13/14), recently feeling that there had to be a teaching about Muhammad and Islam as well. And indeed this was the case. “Often when I am called, I have no notion of what is to be given. But I am very careful in my prayers and invocations to emphasize that I am ready to receive anything that must be given, whether I understand it or not, whether I believe in it or not, whether I agree with it or not. “This is part of my dedication, to receive whatever is to be given, even if it exceeds my understanding or contradicts something I hold to be true or believe in. That was not the case this morning, but I did have the feeling that this would be a very pivotal and important revelation and would speak to many people, welcoming them to God’s New Revelation. “The Teaching began very easily, though I felt a little resistance within myself as it progressed. But it always flows, and whether I am at ease or not, it seems to come out perfectly in most cases. And so it is, that this Revelation of a New Message from God continues. The New Message is the largest, most complete, most comprehensive revelation ever to be received and recorded in living history. Being received for over 30 years by a humble man of tremendous dedication, a Messenger, a Messenger sent from the Angelic Assembly. A Messenger sent to receive this Revelation, this New Message from God, and to give it as a gift to a struggling human family at this time, which is the time of revelation. The grace of the New Message extends itself to you who are amongst the first to know of this Revelation and this man.